Ableton to launch Live 8 in January? What does Ableton have in store for us? Ableton may have disappointed its fans by not releasing a new version of Live this year, but it looks like the company could be set to launch something significant in January. MusicRadar has received word that Ableton will be holding a press conference on Thursday 15 January 2009 - the first day of the 2009 Winter NAMM show. No further details have been released, but it's probably safe to assume that new products of some sort will be on the agenda. Of course, there'll be speculation that this will be the moment that Live 8 rears its head, but there are other possibilities, too. 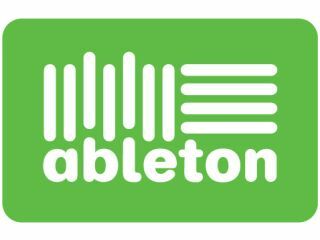 Ableton announced in 2007 that it had formed a strategic partnership with Max/MSP developer Cycling '74 - could this finally be about to bear fruit? More recently, it entered into a similar love-in with DJing specialist Serato. All of this being the case, it's by no means a cast iron certainty that Live 8 will announced at NAMM. In fact, it could be a different product altogether. One thing you can be sure of, though, is that whatever the announcement is, MusicRadar will be on the spot to let you know about it.